For Mark Leputa, the greatest sense of self-satisfaction and pride are found in the creation process. Graduating from the University of Pittsburgh in 2003 with a BA in Communications, Mark always felt his imagination was being suppressed. Throughout his studies Mark continuously turned to art to liberate the ideas boiling within. 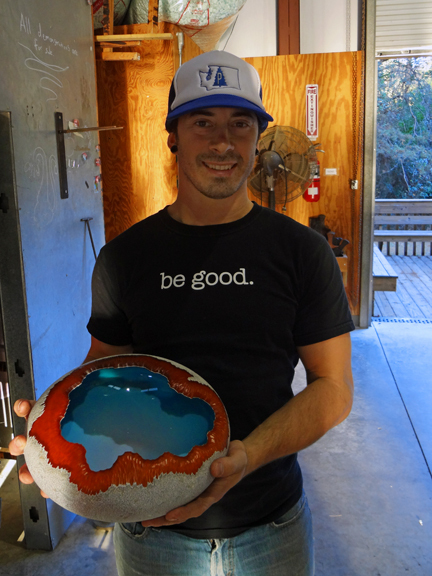 Not until a short holiday to New Zealand in 2004 did Mark finally submit to his longing of being a full-time artist when he discovered the medium he had long been seeking – glass. The heat, the fire, the seemingly liquid state that this material is worked at entranced him. This period of his life marked a turning point and nothing has been the same since. The short holiday turned into a three-year apprenticeship. During this time he was able to define a body of work where simplicity, purity of form, and negative space is merged to meet harmony. Being his own harshest critic, Leputa’s approach to creating his art is relentless and uncompromising. Demanding precision and close attention to detail, he is able to bring his abstract visions to life. Every touch to the glass has significant and deliberate meaning. The final detail is in choosing a title that bonds the physical piece with its emotionally driven design. 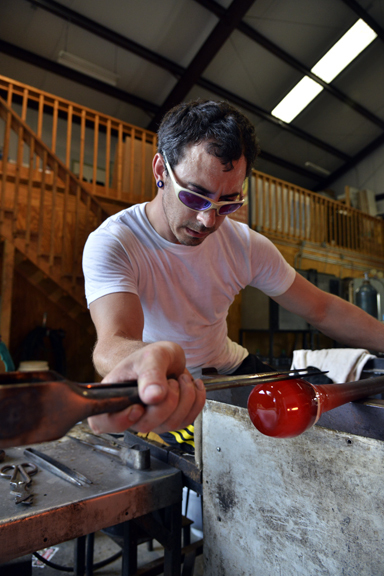 In 2007 Mark returned to the United States to further his knowledge and skills of the material, finding a home in Alabama at Orbix Hot Glass. Taking residency in Alabama has brought tremendous artistic growth allowing him the opportunity to exhibit at the prestigious SOFA International Expo. He has also represented Alabama as a NICHE Award in 2010 and in 2012 was awarded a fellowship grant by the Alabama Council of the Arts. Exposure from such shows has reached worldwide audiences. His International level work has been showcased at Primavera2011, Biennale Brabant 2012, as well as a solo exhibition titled ‘Looking Glass Self’ held in Vught, Netherlands in February 2013. Leputa continues to aspire towards a clean, crisp body of work and continues to exhibit in the Netherlands as well as select galleries in the United States.